Each day we make hundreds of decisions, such as getting on a bus or getting off a bus. Some of those choices have lifelong consequences. Such is the case with Ben Walker (Kevin Sorbo) in the movie What If…. His bus ride sent him on a path in the wrong direction, away from his love Wendy Walker (Kristy Swanson) and the life they planned together. Fifteen years later, Ben is given a look at the life and love he gave up because of that one bus trip. What if…he had never gotten on that bus? Things would be completely different. He likes his life now, not the one he turned his back on and the family they could have had. What if…he could do it over again? Would he? Should he? Can he? What if… is a delightful tale of contrasting options between what seems attractive and what could be more satisfying. But is it too late to choose? 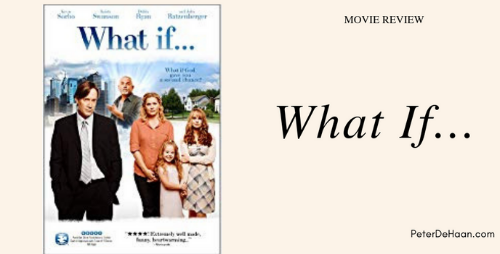 You’ll need to watch What if… to find out.